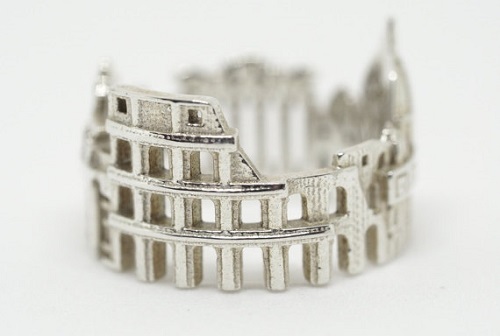 Jewelry artists who work with architectural elements are members of a very small group! 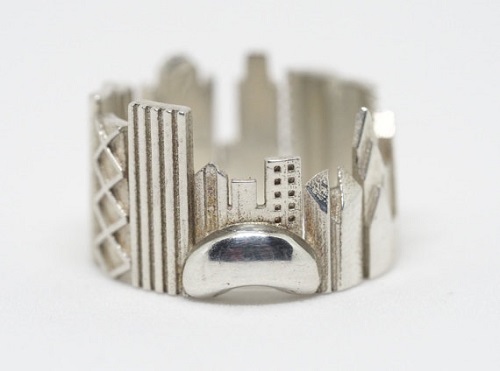 One recent find is Ola Shektman's wonderful cityscape skyline rings. 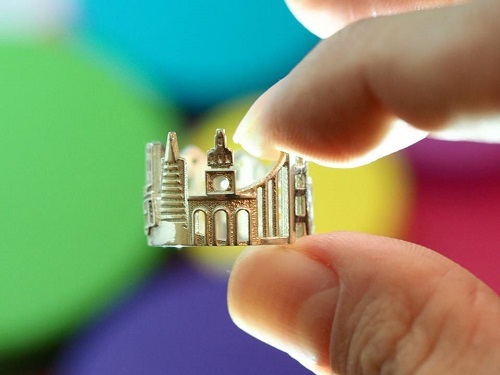 She also creates larger cityscape pendant designs for her Etsy shop, Shektwoman . 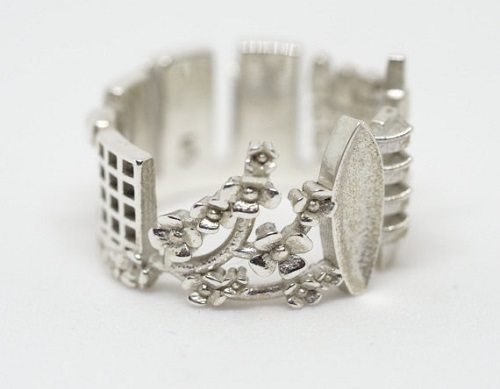 She trained as a metalsmith in Russia. 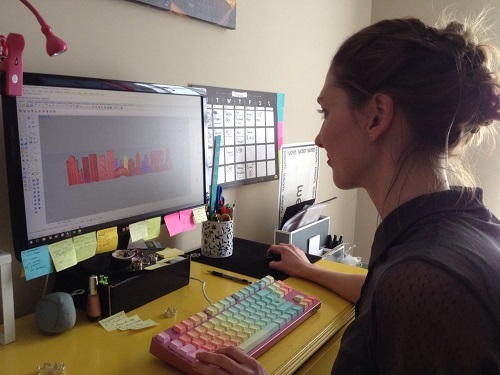 But she then turned to 3D modeling after her family relocated to the US. She is now based in North Carolina. 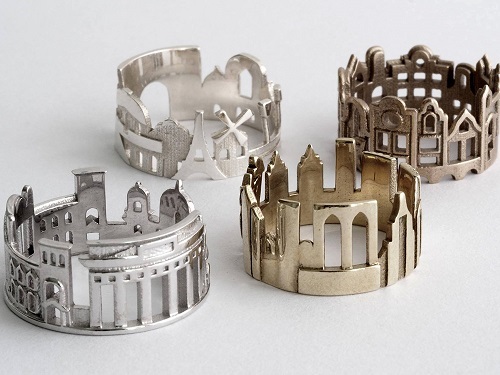 She designs her wonderful rings on her computer which become the basis of jewelry molds. 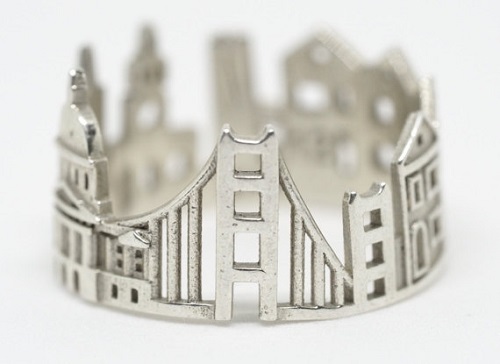 She said in this interview, "3D Modeling limits me to working with all types of metals, my favorite being platinum, however I do not feel restricted – I do what I love and I love what I do." 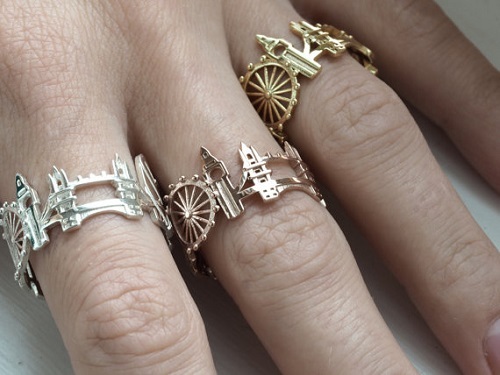 Her cityscape rings are intricate. Ola has the talent and ability to pick out just the right design elements to represent iconic skylines. 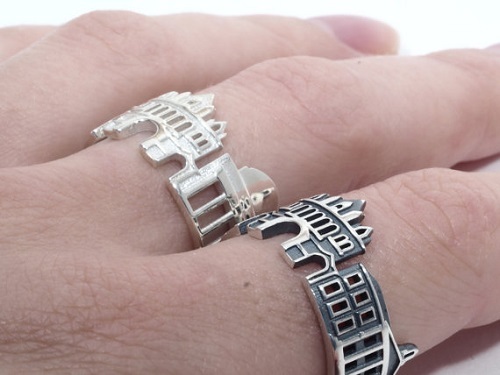 Finely detailed as they are, her rings do have design constraints. She explained, "The biggest constraint has to be with 3D modeling in that I am limited by metal properties only. Another constraint for instance, I can make a filigree lamp-post on the bridge, but I always have to think about durability – will this lamp-post work. On the plus side of 3D modeling, I can acquire full freedom in creation." 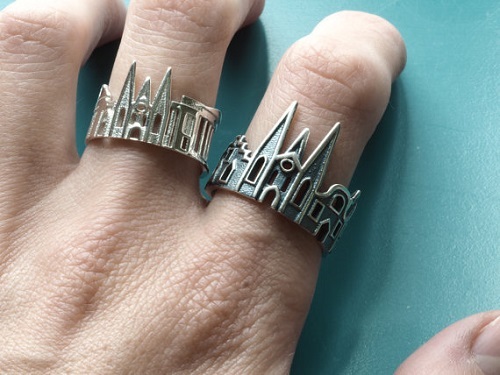 Still - you could collect them for your favourite cities couldn't you! That would be - New Orleans - Victoria - Auckland - Wellington - yup...I could see my hands now all decked out in my favourite places! I am very intrigued by her keyboard as well! What beautiful colours on it. Am I out of the loop or is that a Mac thing? I want to eat my keyboard, I love it so much! It is legendary Filco Majestouch-2 and I just replaced keys with rainbow caps, which I ordered online.